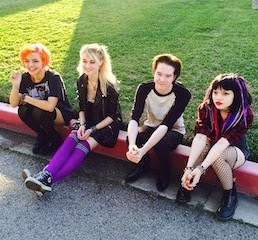 Hey Violet's new EP I Can Feel It is out now and can be streamed in its entirety below. The band's debut release is now available to purchase via iTunes. Dates for the group's upcoming tour with 5 Seconds of Summer can be found below.